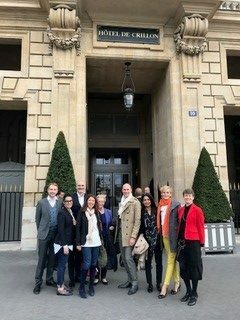 On September 13, 2017 the CHS France Chapter hosted a private tour of the Hôtel de Crillon, A Rosewood Hotel. The hotel went through a complete renovation during the past four years. Tristan Auer, the interior designer of the public spaces, guided the tour.